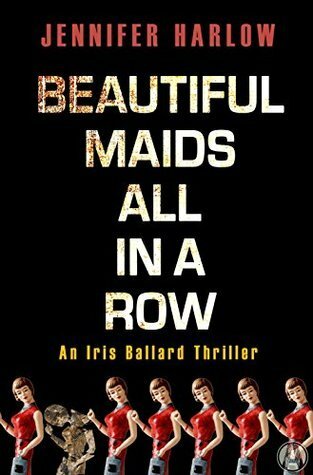 Even with all of her issues brought on by the murder of her husband, Dr. Iris Ballard is the best at profiling serial killers. So when her ex-partner keeps running into brick walls, he turns to Iris for help. And the game is on. I really enjoyed the characters in this book. The dynamic between Iris and Luke is filled with tension, regrets, friendship and attraction. Both characters are fully developed with both strengths and weaknesses on display. With so many of our returning soldier having PSTD, I enjoyed reading about a heroine with that issue. I found the villain in this book to be particularly chilling. He knew just what buttons to push and with whom to be able to continue his gory games. But it does only take one mistake. 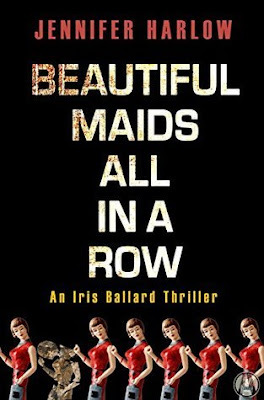 I really enjoy BEAUTIFUL MAIDS IN A ROW and am crossing my fingers that Ms. Harlow continues this series. I do recommend it to any of my readers who enjoy thrillers with strong female leads.